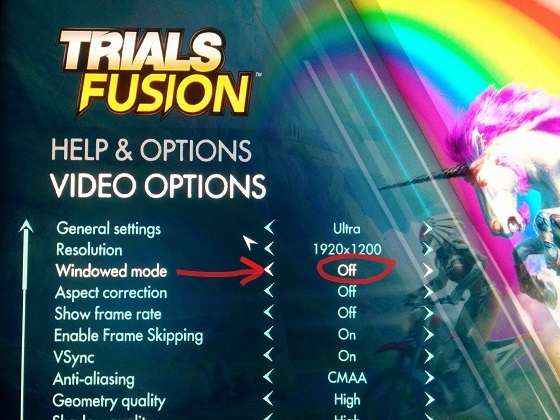 Just change this setting to OFF and all screen tearing issues are solved. Trials Fusion is on sale today so I bought it on Steam. I’m a huge fan of the series and played all versions on Xbox destroying one or two 360 controllers in the process. With a fresh 360 pad plugged in to my PC, I decided to try this out for the first time as its £3.99!